Mademoiselle is a 9 month old bundle of joy. 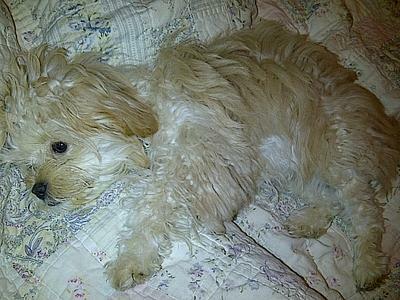 My Maltese Silky Shih Tzu mix is a little rambunctious but also loves to cuddle. She weighs 11 pounds and has honestly been such an easy puppy to take care of. Mademoiselle looks a little like our Malt-poo, but ours only weighs 6 pounds and is a year old. I guess the shih Tzu part of her adds to the weight. Like yours, ours is a bundle of energy, but also just suddenly conks out like someone pulled the switch. She sleeps on her back with her little feet up in the air and doesn't stir until mid-morning. She loves everybody and always has her plume of a tail quivering back and forth. Zoey says "Hi" to Mademoiselle. Join in and write your own page! It's easy to do. How? 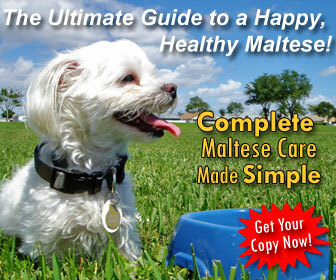 Simply click here to return to Tell Us About Your Maltese Mix Dog!. 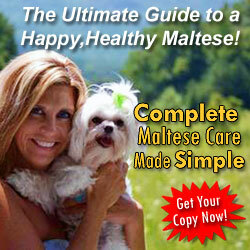 I have a Malshi and a Maltipoo! Suki my Maltipoo. She is a lovable spunky mamas girl. She follows wherever i go and makes sure i am out of harms way. She is a great watch dog.She is very smart and catches on well. If she is on her afternoon run she makes sure she is right beside mama. She is great with people and loves attention. Charlie is my little Malshi. He is my baby boy. Unlike Suki he is very sneaky. If your not keeping an eye out for him he sure to get into trouble. He is though great with children and loves to be spoiled and carried everywhere. He loves his sister and loves to play. Both dogs are the best kind to have. I recommend them to all dog lovers. Two Paws UP! for Suki and Charlie! 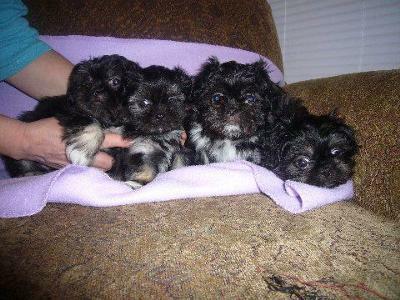 The mom is a Pekingese and the dad is a Shih tzu Maltese mix. They are adorable but I don't know what to call them besides a mutt. Everyone likes them! They are just too cute to be called a mutt. I have a 15-year old with that same mix who looked just like your puppies when she was little! I don't really have any advice on what to call the mix other than "perfection." u could call them peketzuese better than mutts they are precious. 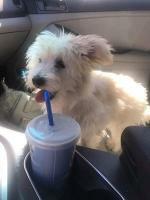 Maddie is an almost a year old Maltese Shih Tzu Yorkie mix and she is incredibly adorable. Maddie is a very fast learner and she knows over fifteen tricks! She loves to play with my other dog Shena, who is a Sheba Inu. Maddie you are 2 Cute! We are 2 Maltese dogs, LuLu and LoLLy! 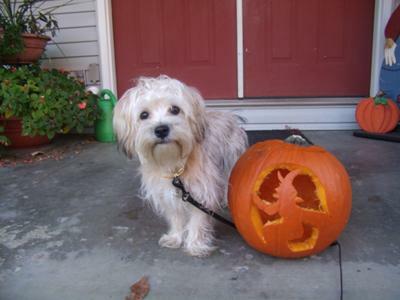 Also, you have done a truly outstanding job at carving this pumpkin! Also, math is not our strong suit, but we know that 15 is a lot of trix, even more than negative 62! Two Paws UP!! Love, your PaLs, LuLu and LoLLy! Long before the mania for "designer dogs" came to the fore(1969-1986), my aunt Karen bred her purebred but out of spec (slightly larger than standard) Shih tzu Charlie with a Lhasa Maltese mix. The resulting litter was small, and the dog that was intended as a gift to me was the runt of the litter. She was pure white, like a Maltese, but had her Sire's build, in spite of her compact size. There was a little cowlick in her hair in the shape of a "V," so my mom and I brainstormed "v" names. Victoria and Valentina were tossed out in favor of Veronica, when it became clear she would likely have long hair in her face, ala the movie star Veronica Lake. If you don't know who she is, check out the movie "LA Confidential" which has a sub-plot about a Lake lookalike. Veronica seemed to take after the Lhasa apso part of her heritage. She "glommed on" to my mom and basically bonded with her, at the expense of me and my dad, even to the point of growling at me and dad on occasion. During the Sylmar Earthquake of 1971, Veronica showed her character as she fearlessly stood in the corridor of our Sherman Oaks house and barked at the quake, perhaps in hopes of scaring away whatever monster she thought was shaking the house. I have no doubt that if anyone intruded on the house, she would have given that hapless burglar a world of hurt. By the time she got older, eventually Veronica's personality mellowed. She became more of a "people" dog and less of a one-person dog, and allowed others to be affectionate with her. My dog is actually a Maltese, Shih tzu and a Poodle mix. She is extremely playful, and cannot stop playing! i love her so much, and i bet she loves me too..
She is my love. Here is an update on my Maltese Shihtzu Poodle Mix. My PUPPY LOOKS JUST LIKE MIKA OMG IDENTICAL! 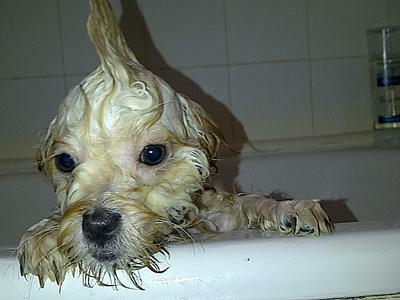 im looking in the internet to see what my puppy is and he looks exacly like mika! be wonderful if you can help. Tula is a brand spanking new addition to our family arriving at 8 weeks old and stealing all out hearts instantly. 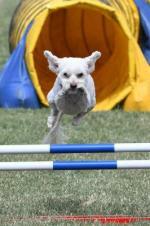 Our Maltese Shih Tzu Poodle Chihuahua mix loves to play and can run surprisingly fast for such a wee thing. When she's tired she prefers to sleep in my lap, in my sweater or on/near my feat. We have only had her home for a few days and she still gets lonely in her bed at night. So I find myself up at least once a night running circles around our coffee table to tucker her out... but I can use the excersize anyways! I am very curious to know what she will look like fully grown as I have yet to find a photo online of this exact mix of Maltese Shih Tzu Poodle and Chihuahua. Louie is our new Pug Maltese Shih Tzu mix addition to our home! He is 7 weeks old and is showing signs of a placid temperament. 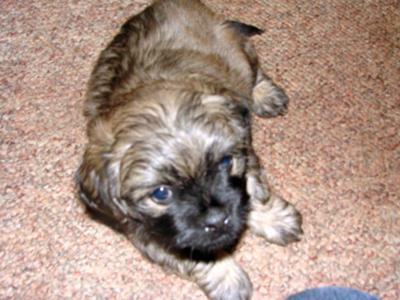 Born from a Pug Maltese cross mother & we think a Shih Tzu father. But not 100% sure. If you have any idea what breed mix he maybe then please let us know. He is just so adorable. Would love to breed him in the future because of his wonderful colour. Two Paws UP! for Louie! Hi Louie! We are two Maltese dogs LuLu and LoLLy! We think you are eggstreamly cute and wanted to give you Two Paws UP! If you ever come to Texas, you can stay with us! Also, your pikture is very adorable! Also, have you heard about our health care reform? We are trying to get 1,000 doggies to sign up! math is not our strong suite but we are pretty sure 1,000 is a lot! Please help us at http://www.luluandlolly.com! Your Maltese paLs, LuLu and LoLLy! This is a picture of her after her little haircut. This is my dog Mika. She is a Maltese Shihtzu Poodle mix. This is actually an updated picture from her old one so this is her when shes a bit more older. She is currently a year and 3 months. And she is a happy little pup, loving the world. Also she had her tough times but she stopped a little later on. To take care of Mika, we just had to give patience. Now we are very proud of our loving and smart MalShihPoo. We believe Mika is very special because sometimes it feels like she understands us & she`ll always help you feel better when you`re sad. Lastly, she is VERY VERY playful and loves people and dogs. And it`s very hard to get her into water. We will be posting many other updated pictures. If anyone is interested in getting a similar breed, we checked kijiji.com and we luckily found a trustworthy breeder, we called them and picked her up. Thank you for reading! 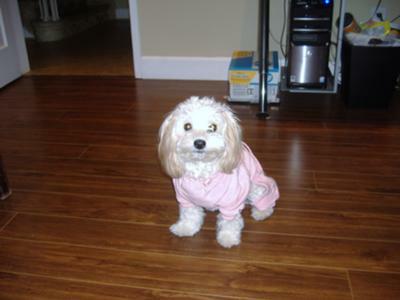 This is a picture of my Maltese Shih tzu Poodle Mix when she was younger. My dog Tara is going to have a litter around Oct 312012. I was going to sell them for about 100.00. If anyone is interested please let me know. schavis9@sc.rr.com. Mother is Shih-tzu Matteze and the Father is Shih-zu Poodle. 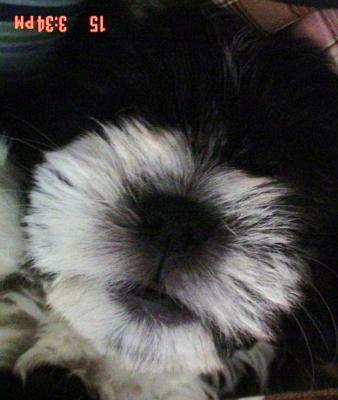 I have a shihtzu and my daughter has a multi poo and well he got my bella before i got him fixed .. So she is about to have a litter .. He is fixed now and this will not happen again and i am going to get her fixed but i am excited to see what they will look like she is white and grey and he is mostly all white with a little apricot on his ears ... Ill keep you posted .. I looked up images mainly 4 a shitzupoo but up pops your cute little girl! I'm pretty sure after seeing your puppy my puppy is either a shitzu poodle or maybe all three like yours. I got my guy when he was six months old the lady (sadly) didnt want him! I paid only 100$ she said he is maltese/shitzu. I own a full blooded shitzu benji. I dont really care what type Izzy is buts hes so darn cute like yours. Maybe if you have time watch my youtube video & you tell me what you think? Question for Suki and Charlie: Congratulations on your new puppies! Are you by any chance looking for forever homes for them?? If so, I'm very interested! Do you have a contact email or phone number I could reach you at? Thanks! OMG! You are the cutest puppy I've seen yet, I can't believe how adorable you are. Your family is so fortunate to have you as an addition. Those gorgeous eyes prove to me that you are soooo.... sweet. Hopefully someday I can find a puppy equivalent to you. Continue to be loving to your family and be good okay. Hi Mika, Our names are Charlie and Suki. I (Suki) am a Maltipoo and I (Charlie) am a MalShi. We just had 7 new puppies 2 nights ago and we are very proud parents! We hope that are puppies will grow up to be just as cute as you! Two Paws UP! for Mika! 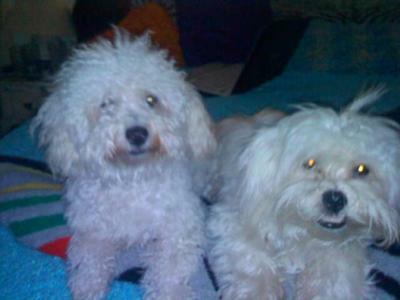 Hi Mika, We are two Maltese dogs LuLu and LoLLy! We wanted to give you Two Paws UP! for being so cute! Also, your pikture is very adorable! Also, have you heard about our health care reform? We are trying to get 1,000 doggies to sign up! math is not our strong suite but we are pretty sure 1,000 is a lot! Please help us at http://www.luluandlolly.com! Your Maltese paLs, LuLu and LoLLy! My dog is 14 months old. I got her when she was 6 weeks old. I got her from a friend of mine, her dog had puppies, and she gave one to me. The minute I was her and held her in my arms, I fell in love with her, and wouldn't put her down. My friend told me that Muffin (my 6yr old son named her that), is Yorkie Shitzu Maltese mix. Not sure how it's three different breeds, but she is adorable and very smart. She is the cutest thing, and we all love her. She's a very important part of our family. We're not sure whether she is a Maltese Poodle, or Maltese Bichon, but we love her unconditionally. we just lost our sweet muffin suddenly yesterday. we have had her for 10 years. my 14 year old daughter is so devastated. she was a golden white shitzu. does anyone have a sweet puppy that we could adopt . we live in wa state and are a loving responsible family with no little kids. muffin and our daughter have grown up together. its a sad time for all of us and our daughters birthday is aug 1. puddles6399@yahoo.com. I also have a shmorkie. His mom was a smorkie (shitzu/yorkie) and his dad was full blooded maltese. He is a hoot. Very even tempered and so very lovable. how can it be three breeds? I have a friend who sells shitzu/maltese/yorkies. The dad is maltese/yorkie and the mom is shitzu. 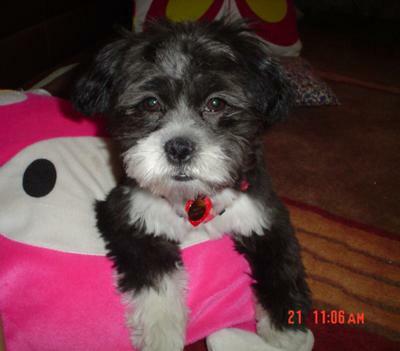 y Maltese Poodle Yorkie Shih Tzu mix Alize is 9 weeks old and weighs about a pound. Her fur is silky, straight, and large curly pattern. She kinda has her mournings all messed up cause she sleeps most of the day and is awake at night. But when she is awake she loves to just pounce around. Also she loves chewing on her chew toy. When it's time to nap she loves to snuggle up on a pillow or your chest. 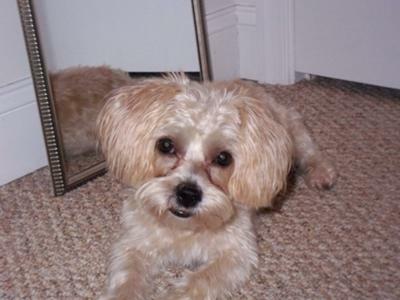 Over all this Maltese Poodle Yorkie Shih Tzu mix is a great dog!!! My Belle is very playful and frisky! 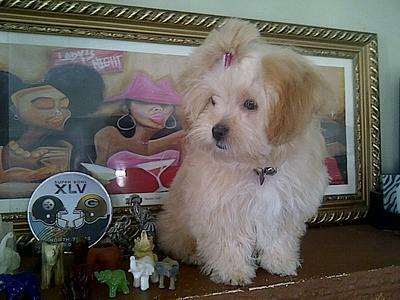 My Maltese Shih-tzu Poodle mix is five months old and I love her terribly! 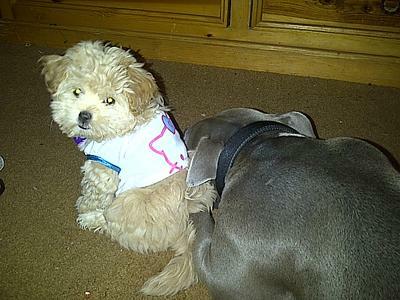 I have a Pitbull also and they get along very well!! Belle was easily paper trained, she sleeps all night with no accidents and I am so proud! Her mother is Maltese Shih-tzu and her dad is Poodle and what they made to me is the cutest lil pup I ever did see....she loves to bite ankles when people walk past her, she hides under the couch and jumps out to bite ankles!! She eats any and everything that drops on the floor even citrus and onions!! Loves all fruit and yes some veggies! A very sweet mix breed dog! Do not give dogs raisins, either. I'm glad it helped. I've lived for almost 70 years and through many dogs and never knew that. I'm sure I fed grapes to my chihuahuas that I had before Muffit. It probably depends on how much they eat, but now that I know, I don't take chances. Muffit ate a piece of dark chocolate one night she stole out of my purse. I freaked out, but she survived. My chihuahua ate rat poison accidently, but survived also. I've been lucky. Belle is adorable! She looks a lot like my Little Miss Muffit, a maltese/Yorkie cross. Same coloring, too. Anyhow, when you mentioned her liking citrus and onions, it jumped out! Onions are bad for dogs. Don't let her eat them. Grapes are another no-no. We love these little darlings way too much to chance them getting sick or dying. Enjoy your sweetie! What Maltese Mix is Charley? 10 years old and still running agility courses like she was a puppy. Just look at her determination. Love my Crested Malt! Best friend and great cuddles. Information on this site is for educational purpose only. It is not intended to replace the advice and treatment of a veterinarian. This site does not take responsibility for the accuracy of suggestions, comments, opinions and any other messages posted by visitors.